If you have a problem with your child’s bus, please contact First Student at 847-352-7900. Medinah School District #11 will be hosting a Bilingual Parent Advisory Committee. of the Bilingual Parent Advisory Committee. Please contact Susan Redell if you are interested in becoming a member. 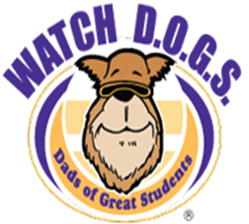 Click here for more information on Watch D.O.G.S.